This is the 500th post from this blog, making it one of the longest-running blogs in phylogenetics, if not the longest. For example, among the phylogenetics blogs that I have previously listed, there has been only one post so far this year that has not been about a specific computer program. Our first blog post was on Saturday 25 February 2012; and most weeks since then have had one or two posts. We have covered a lot of ground during that time, focusing on the use of network graphs for phylogenetic data, broadly defined (ie. including biology, linguistics, and stemmatology). However, we have not been averse to applying what are know as "phylogenetic networks" to other data, as well; and to discussing phylogenetic trees, when appropriate. For this 500th post, I though that I should focus on what seems to me to be one of the least appreciated aspects of biology — the need to look at data before formally analyzing it. Phylogeneticists, for example, have a tendency to rush into some specified form of phylogenetic analysis, without first considering whether that analysis is actually suitable for the data at hand. It is therefore wise to investigate the nature of the data first, before formal analysis, using what is known as exploratory data analysis (EDA). EDA involves getting a picture of the data, literally. That picture should be clear, as well as informative. That is, it should highlight some particular characteristics of the data, whatever they may be. Different EDA tools are likely to reveal different characteristics — there is not single tool that does it all. That is why it is called "exploration", because you need to have a look around the data using different tools. This is where splits graphs come into play, perhaps the most important tool developed for phylogenetics over the past 50 years. Splits graphs are the best current tools for visualizing phylogenetic data. They were developed back in 1992, by Hans-Jürgen Bandelt & Andreas Dress. These graphs had a checkered career for the first 15 years, or so, but they have become increasingly popular over the past 10 years. It is important to note that splits graphs are not intended to represent phylogenetic histories, in the sense of showing the historical connections between ancestors and descendants. This does not mean that there is no reason why should not do so, but it is not their intended purpose. Their purpose is to display phenetic data patterns efficiently. In this sense, calling them "phylogenetic networks" may be somewhat misleading — they are data-display networks, not evolutionary networks. A split is simply a partitioning of a group of objects into two mutually exclusive subgroups (a bipartition). In biology, these objects can be individuals, populations, species, or even higher taxonomic groups (OTUs); and in the social sciences, they might be languages or language groups, or they could be written texts, or verbal tales, or tools or any other human artifacts. Any collection of objects will contain a set of such splits, either explicitly (eg. based on character data) or implicitly (eg. based on inter-object distances). A splits graph simultaneously displays some subset of the splits. Ideally, a splits graph would display all of the splits; but for realistic biological data this is not likely to happen — the graph would simply be too complex for interpretation. So, a series of graphing algorithms have been developed that will display different subsets of the splits. That is, splits graphs actually form a family of closely related graphs. Technically, the Median Network is the only graph type that tries to display all of the splits; however, the result will usually be too complicated to be useful for EDA. So, these days there is a range of splits-graph methods available for character-based data (such as Median Networks and Parsimony Splits), distance-based data (such as NeighborNet and Split Decomposition), and tree-based data (such as Consensus Networks and SuperNetworks). In population genetics, haplotype networks can be produced by methods that conceptually modify Median Networks (such as Reduced Median Networks and Median-Joining Networks). The purpose of this post, however, is not to discuss all of the types of splits graphs, but to consider what computer tools we would need in order to successfully use this family of graphs for EDA in phylogenetics. The basic idea of EDA is to have a picture of the data. So, any computer program for EDA in phylogenetics needs to be able to quickly and easily produce the splits graph, and then allow us to explore and manipulate it interactively. To do this, the features listed below are the ones that I consider to be most helpful for EDA (and thanks to Guido Grimm and Scot Kelchner for making some of the suggestions). It would be great to have a computer program that implements all of these features, but this does not yet exist. SplitsTree has some of them, making it the current program of choice. However, there is quite some way to go before a truly suitable program could exist. examine which subsets of the data are responsible for the reticulations — eg. for character-based inputs this might a sliding window that updates the network for each region of an alignment, or for tree-based inputs it might be a tree inclusion-exclusion list. Here are some other blog posts that discuss the use of splits graphs for exploring genealogical data. Arguments from authority play an important role in our daily lives and our societies. In political discussions, we often point to the opinion of trusted authorities if we do not know enough about the matter at hand. In medicine, favorable opinions by respected authorities function as one of four levels of evidence (admittedly, the lowest) to judge the strength of a medicament. In advertising, the (at times doubtful) authority of celebrities is used to convince us that a certain product will change our lives. Arguments from authority are useful, since they allow us to have an opinion without fully understanding it. Given the ever-increasing complexity of the world in which we live, we could not do without them. We need to build on the opinions and conclusions of others in order to construct our personal little realm of convictions and insights. This is specifically important for scientific research, since it is based on a huge network of trust in the correctness of previous studies which no single researcher could check in a lifetime. Arguments from authority are, however, also dangerous if we blindly trust them without critical evaluation. To err is human, and there is no guarantee that the analysis of our favorite authorities is always error proof. For example, famous linguists, such as Ferdinand de Saussure (1857-1913) or Antoine Meillet (1866-1936), revolutionized the field of historical linguistics, and their theories had a huge impact on the way we compare languages today. Nevertheless, this does not mean that they were right in all their theories and analyses, and we should never trust any theory or methodological principle only because it was proposed by Meillet or Saussure. Since people tend to avoid asking why their authority came to a certain conclusion, arguments of authority can be easily abused. In the extreme, this may accumulate in totalitarian societies, or societies ruled by religious fanatism. To a smaller degree, we can also find this totalitarian attitude in science, where researchers may end up blindly trusting the theory of a certain authority without further critically investigating it. The authority in this context does not necessarily need to be a real person, it can also be a theory or a certain methodology. The financial crisis from 2008 can be taken as an example of a methodology, namely classical "economic forecasting", that turned out to be trusted much more than it deserved. In historical linguistics, we have a similar quasi-religious attitude towards our traditional comparative method (see Weiss 2014 for an overview), which we use in order to compare languages. This "method" is in fact no method at all, but rather a huge bunch of techniques by which linguists have been comparing and reconstructing languages during the past 200 years. These include the detection of cognate or "homologous" words across languages, and the inference of regular sound correspondence patterns (which I discussed in a blog from October last year), but also the reconstruction of sounds and words of ancestral languages not attested in written records, and the inference of the phylogeny of a given language family. In all of these matters, the comparative method enjoys a quasi-religious authority in historical linguistics. Saying that they do not follow the comparative method in their work is among the worst things you can say to historical linguists. It hurts. We are conditioned from when we were small to feel this pain. This is all the more surprising, given that scholars rarely agree on the specifics of the methodology, as one can see from the table below, where I compare the key tasks that different authors attribute to the "method" in the literature. I think one can easily see that there is not much of an overlap, nor a pattern. It is difficult to tell how this attitude evolved. The foundations of the comparative method go back to the early work of scholars in the 19th century, who managed to demonstrate the genealogical relationship of the Indo-European languages. Already in these early times, we can find hints regarding the "methodology" of "comparative grammar" (see for example Atkinson 1875), but judging from the literature I have read, it seems that it was not before the early 20th century that people began to introduce the techniques for historical language comparison as a methodological framework. How this framework became the framework for language comparison, although it was never really established as such, is even less clear to me. At some point the linguistic world (which was always characterized by aggressive battles among colleagues, which were fought in the open in numerous publications) decided that the numerous techniques for historical language comparison which turned out to be the most successful ones up to that point are a specific method, and that this specific method was so extremely well established that no alternative approach could ever compete with it. Biologists, who have experienced drastic methodological changes during the last decades, may wonder how scientists could believe that any practice, theory, or method is everlasting, untouchable and infallible. In fact, the comparative method in historical linguistics is always changing, since it is a label rather than a true framework with fixed rules. 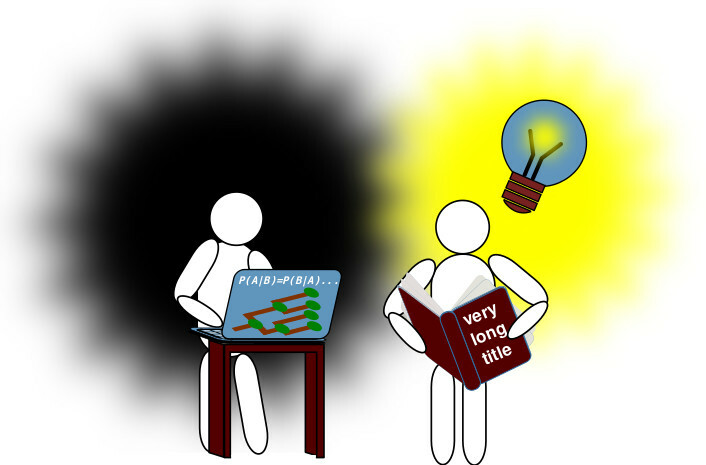 Our insights into various aspects of language change is constantly increasing, and as a result, the way we practice the comparative method is also improving. As a result, we keep using the same label, but the product we sell is different from the one we sold decades ago. Historical linguistics are, however, very conservative regarding the authorities they trust, and our field was always very skeptical regarding any new methodologies which were proposed. Morris Swadesh (1909-1967), for example, proposed a quantitative approach to infer divergence dates of language pairs (Swadesh 1950 and later), which was immediately refuted, right after he proposed it (Hoijer 1956, Bergsland and Vogt 1962). Swadesh's idea to assume constant rates of lexical change was surely problematic, but his general idea of looking at lexical change from the perspective of a fixed set of meanings was very creative in that time, and it has given rise to many interesting investigations (see, among others, Haspelmath and Tadmor 2009). As a result, quantitative work was largely disregarded in the following decades. Not many people payed any attention to David Sankoff's (1969) PhD thesis, in which he tried to develop improved models of lexical change in order to infer language phylogenies, which is probably the reason why Sankoff later turned to biology, where his work received the appreciation it deserved. Since the beginning of the second millennium, quantitative studies have enjoyed a new popularity in historical linguistics, as can be seen in the numerous papers that have been devoted to automatically inferred phylogenies (see Gray and Atkinson 2003 and passim). The field has begun to accept these methods as additional tools to provide an understanding of how our languages evolved into their current shape. But scholars tend to contrast these new techniques sharply with the "classical approaches", namely the different modules of the comparative method. Many scholars also still assume that the only valid technique by which phylogenies (be it trees or networks) can be inferred is to identify shared innovations in the languages under investigation (Donohue et al. 2012, François 2014). Unfortunately, not many people seem to have read Brugmann's original text in full. Brugmann says that subgrouping requires the identification of shared innovative traits (as opposed to shared retentions), but he remains skeptical about whether this can be done in a satisfying way, since we often do not know whether certain traits developed independently, were borrowed at later stages, or are simply being misidentified as being "shared". Brugmann's proposed solution to this is to claim that shared, potentially innovative traits, should be numerous enough to reduce the possibility of chance. While biology has long since abandoned the cladistic idea, turning instead to quantitative (mostly stochastic) approaches in phylogenetic reconstruction, linguists are surprisingly stubborn in this regard. It is beyond question that those uniquely shared traits among languages that are unlikely to have evolved by chance or language contact are good proxies for subgrouping. But they are often very hard to identify, and this is probably also the reason why our understanding about the phylogeny of the Indo-European language family has not improved much during the past 100 years. In situations where we lack any striking evidence, quantitative approaches may as well be used to infer potentially innovated traits, and if we do a better job in listing these cases (current software, which was designed by biologists, is not really helpful in logging all decisions and inferences that were made by the algorithms), we could profit a lot when turning to computer-assisted frameworks in which experts thoroughly evaluate the inferences which were made by the automatic approaches in order to generate new hypotheses and improve our understanding of our language's past. A further problem with cladistics is that scholars often use the term shared innovation for inferences, while the cladistic toolkit and the reason why Brugmann and Hennig thought that shared innovations are needed for subgrouping rests on the assumption that one knows the true evolutionary history (DeLaet 2005: 85). Since the true evolutionary history is a tree in the cladistic sense, an innovation can only be identified if one knows the tree. This means, however, that one cannot use the innovations to infer the tree (if it has to be known in advance). What scholars thus mean when talking about shared innovations in linguistics are potentially shared innovations, that is, characters, which are diagnostic of subgrouping. Given how quickly science evolves and how non-permanent our knowledge and our methodologies are, I would never claim that the new quantitative approaches are the only way to deal with trees or networks in historical linguistics. The last word on this debate has not yet been spoken, and while I see many points critically, there are also many points for concrete improvement (List 2016). But I see very clearly that our tendency as historical linguists to take the comparative method as the only authoritative way to arrive at a valid subgrouping is not leading us anywhere. Do computational approaches really switch off the light which illuminates classical historical linguistics? In a recent review, Stefan Georg, an expert on Altaic languages, writes that the recent computational approaches to phylogenetic reconstruction in historical linguistics "switch out the light which has illuminated Indo-European linguistics for generations (by switching on some computers)", and that they "reduce this discipline to the pre-modern guesswork stage [...] in the belief that all that processing power can replace the available knowledge about these languages [...] and will produce ‘results’ which are worth the paper they are printed on" (Georg 2017: 372, footnote). It seems to me, that, if a discipline has been enlightened too much by its blind trust in authorities, it is not the worst idea to switch off the light once in a while. Anttila, R. (1972): An introduction to historical and comparative linguistics. Macmillan: New York. Atkinson, R. (1875): Comparative grammar of the Dravidian languages. Hermathena 2.3. 60-106. Bergsland, K. and H. Vogt (1962): On the validity of glottochronology. Current Anthropology 3.2. 115-153. Brugmann, K. (1884): Zur Frage nach den Verwandtschaftsverhältnissen der indogermanischen Sprachen [Questions regarding the closer relationship of the Indo-European languages]. Internationale Zeischrift für allgemeine Sprachewissenschaft 1. 228-256. 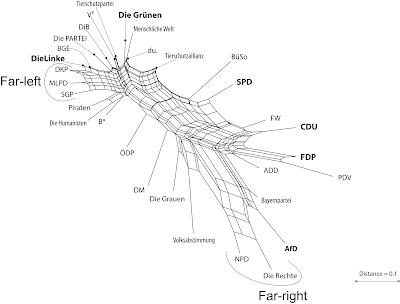 Bußmann, H. (2002): Lexikon der Sprachwissenschaft . Kröner: Stuttgart. De Laet, J. (2005): Parsimony and the problem of inapplicables in sequence data. In: Albert, V. (ed. ): Parsimony, phylogeny, and genomics. Oxford University Press: Oxford. 81-116. 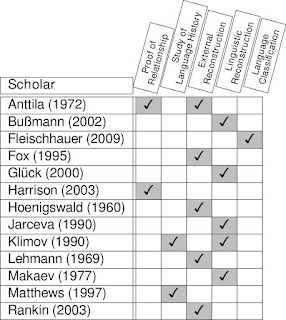 Donohue, M., T. Denham, and S. Oppenheimer (2012): New methodologies for historical linguistics? Calibrating a lexicon-based methodology for diffusion vs. subgrouping. Diachronica 29.4. 505–522. Fleischhauer, J. (2009): A Phylogenetic Interpretation of the Comparative Method. Journal of Language Relationship 2. 115-138. Fox, A. (1995): Linguistic reconstruction. An introduction to theory and method. Oxford University Press: Oxford. François, A. 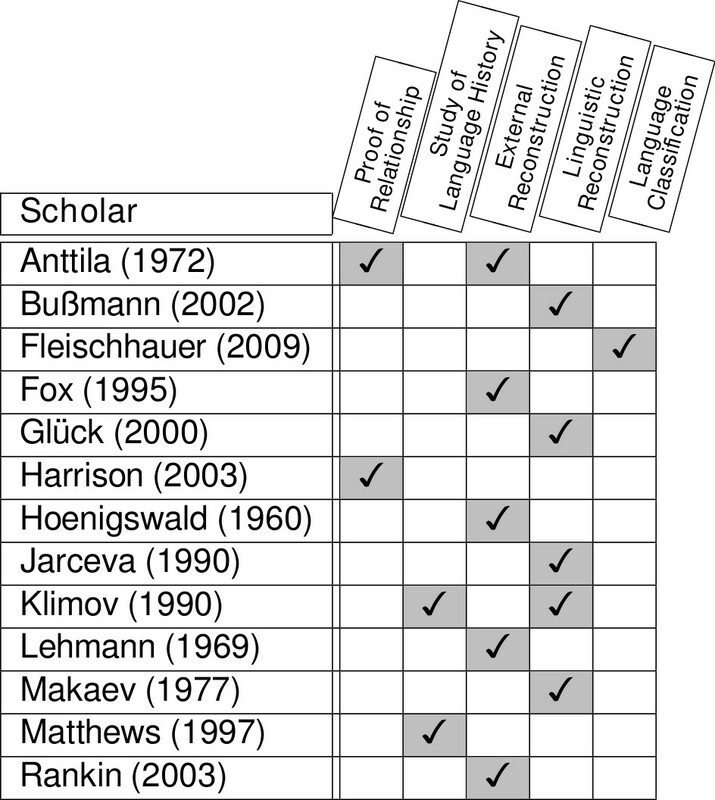 (2014): Trees, waves and linkages: models of language diversification. In: Bowern, C. and B. Evans (eds. ): The Routledge handbook of historical linguistics. Routledge: 161-189. Georg, S. (2017): The Role of Paradigmatic Morphology in Historical, Areal and Genealogical Linguistics. Journal of Language Contact 10. 353-381. 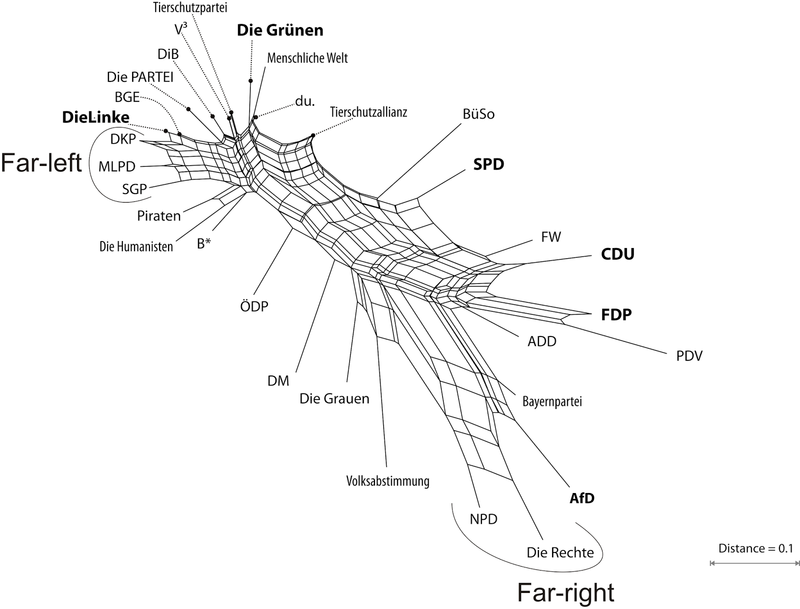 Glück, H. (2000): Metzler-Lexikon Sprache . Metzler: Stuttgart. Gray, R. and Q. Atkinson (2003): Language-tree divergence times support the Anatolian theory of Indo-European origin. Nature 426.6965. 435-439. Harrison, S. (2003): On the limits of the comparative method. In: Joseph, B. and R. Janda (eds. ): The handbook of historical linguistics. Blackwell: Malden and Oxford and Melbourne and Berlin. 213-243. 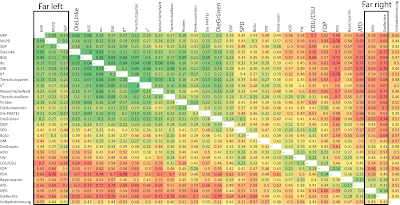 Haspelmath, M. and U. Tadmor (2009): The Loanword Typology project and the World Loanword Database. In: Haspelmath, M. and U. Tadmor (eds. ): Loanwords in the world’s languages. de Gruyter: Berlin and New York. 1-34. Hennig, W. (1950): Grundzüge einer Theorie der phylogenetischen Systematik. Deutscher Zentralverlag: Berlin. Hoenigswald, H. (1960): Phonetic similarity in internal reconstruction. Language 36.2. 191-192. Hoijer, H. (1956): Lexicostatistics. A critique. Language 32.1. 49-60. Jarceva, V. (1990): . Sovetskaja Enciklopedija: Moscow. Klimov, G. (1990): Osnovy lingvističeskoj komparativistiki [Foundations of comparative linguistics]. Nauka: Moscow. Makaev, E. (1977): Obščaja teorija sravnitel’nogo jazykoznanija [Common theory of comparative linguistics]. Nauka: Moscow. Matthews, P. (1997): Oxford concise dictionary of linguistics . Oxford University Press: Oxford. Rankin, R. (2003): The comparative method. In: Joseph, B. and R. Janda (eds. ): The handbook of historical linguistics. Blackwell: Malden and Oxford and Melbourne and Berlin. Sankoff, D. (1969): Historical linguistics as stochastic process . . McGill University: Montreal. This is a toolkit rather than simple-to-use program, meaning that the various analyses exist as separate entities that can be combined in any way you like. More importantly, new analyses can be added easily, by those who want to write them, which is not the case for more commonly used programs like SplitsTree. This way, the analyses can also be incorporated into processing pipelines, rather than only being used interactively. The program also outputs the networks, of course. Here is an example of the SPECTRE equivalent of a NeighborNet analysis from a recent blog post (where the network was produced by SplitsTree, and then colored by me). Running the program(s) is relatively straightforward, once you get things installed. Installation packages are available for OSX, Windows and Linux. Sadly, for me installation was tricky, because SPECTRE requires Java v.8, which is unfortunately not available for OSX 10.6 (which runs on most of my computers). Even getting Java v.8 installed on the one computer I have with a later version of OSX was not easy, because installing a Java Runtime Environment (the JRE download file) from Oracle does not update the Java -version symlinks or add Java to the software path — for this I had to install the full Java Development Kit (the JDK download file). Sometimes, I hate computers!